Facebook as a social network is fantastic. I have ‘found’ so many old friends and made a few new ones. But, as the popularity of it has grown, so has the scammers that use it to take your money. I was looking at the list today of the different methods used and figured it was time to bring it to your attention. 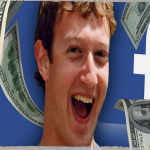 Mark Zuckerberg is such an off the wall character; it’s hard not to believe he might go through a little money in your direction, right! Absolutely not! 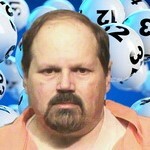 The Facebook lottery scam claims that he has randomly drawn your email address for a piece of a big jackpot. The amounts vary from scammer to scammer. What this Facebook lottery hoax does is go after advanced fees or passwords to hack your account. The scammers add an additional twist at the Facebook Freedom Lottery. Their email announcement of your big win asks you go to their web page. There you have to purchase ‘the form’ to get your tickets and your win. They are using various websites to lure people into giving them money. Some of the scammers use a system of starting up a chat with you. Be very careful who you accept as a friend. I have a stringent policy of only friend-ing people that I know. It’s hard sometimes when a nickname comes up, and you’re not sure if you know the person. Block it! If they know you, they will write a blurb in the message to make sure you know it is someone you know. Another way to run the scam is they clone your Facebook page. They set up an alternative page under your name and then resend a friend request clarifying that they’ve had a Trojan virus and have had to re-do their Facebook connections. Next, ‘this friend’ is sharing the information about their big Facebook lottery win and that your name was in the list. They provide contact details for you to follow up with. Of course, you believe your friend – I mean it is your friend – NOT! My personal favorite of scams within some of the comments on several of the Facebook hoax info sites was the spell caster. This is from a supposed winner who announces that she used a Nigerian spell caster and immediately won a 500 million dollar jackpot and a car. She includes his email address and says send him money; he will cast a spell for you and you will win a big jackpot. But first, you have to send him money. The bottom line is that Facebook at no time has ever participated in any lottery. Do not share your details, do not friend someone you don’t know, and if a friend starts talking to you about a Facebook lottery, tell them to get lost. They are not your friend. Do not respond to second requests for confirming a friend. 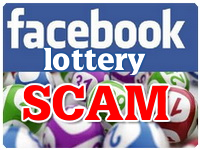 Get in touch with that friend and suggest that they put out a mass email to everyone they know and say ignore anything regarding a Facebook lottery as it is a scam. It doesn’t matter if it is a Facebook International Lottery or Facebook Online Lottery, they are scams to either take your money or take your identity. The only way we are going to stop these scammers is to ignore their requests and stop them from making money. Got an email. I told them they were full of crap and I reported them to the federal government investigations department. This was sent to me today! all our users for making. We have been authorized to get in touch with you by the head of promo coordinator and get to know if you are ready to claim your winnings? I was contacted by this person also… just recently. He wanted $250 dollars in Amazon Gift Cards to activate the prize. I had a feeling it was a Scam. Then the next person whom texted me was Mark Elliot Zuckerberg I told them THIS IS A SCAM and then blocked them. This morning (March 19, 2019) I received more characters in this hoax…. they are… Karen Reed from FedEx and Kennedy Cribbs from the FBI. This is taking place on Gmail’s Hangout. The messages they wrote was very cryptic with a lot of misspelled words. Hope this helps others. I have just blocked a few people for this Facebook Lottery Crap… There is no Facebook lottery it is a lie and a big time scam my Facebook account was hacked into and I had to change my password to get back into it. NEVER fall for it only fell for the personal information bit then I was told the damn tracking machine did not work to process how much Id won then I got fed up with it just as well I never sent any cash away to collect my winnings. We all like free money, but it does not exist if people say you have won a lot just sit back and laugh then delete them. They are requesting this fee to be sent through moneygram… I truly believe it is a scam after reading this warning. The authorities need to be alerted so these people can be brought to justice. I was contacted by Micheal Batog James saying I won the Facebook annual Promotion 2018 and won 500.000 and a new truck to claim prize I needed to pay for the fees to receive my prize. Then gave me a number to call so I left a message and they texted me back so I asked them to call me and they wouldn’t but kept texting me. When I looked it up on Facebook and it said it was a scam so beware they sound awfully convincing. If it’s too good to be true it is. Don’t fall for this scam be aware. 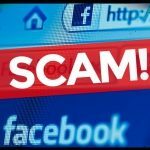 Facebook Lottery Scam 2019 – Don’t Fall for It! Remembering the Iowa Lottery Hack – Everything You Need to Know About This Latest Scam. This Is Unbelievable.